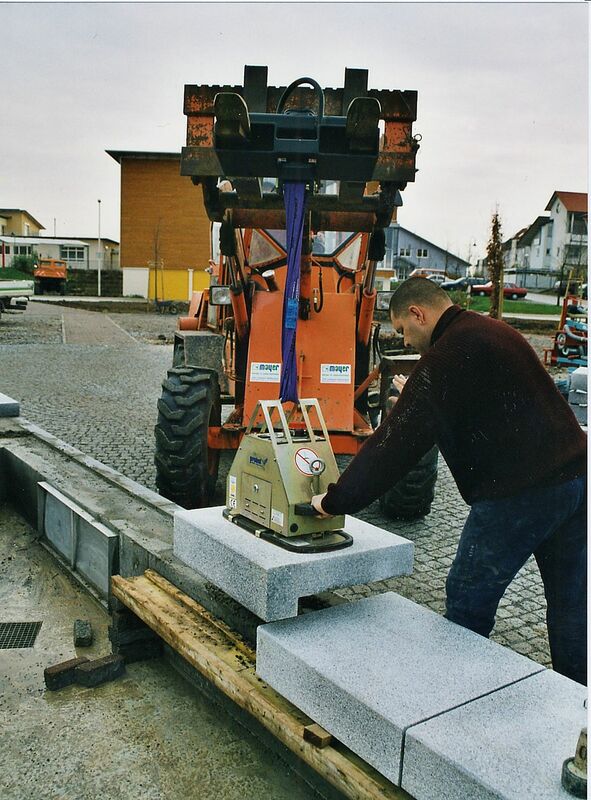 Handy, powerful and cordless vacuum lifting device for laying of dense stone slabs, concrete elements, pipes and similar. Can be used on all kind of lifting equipment. 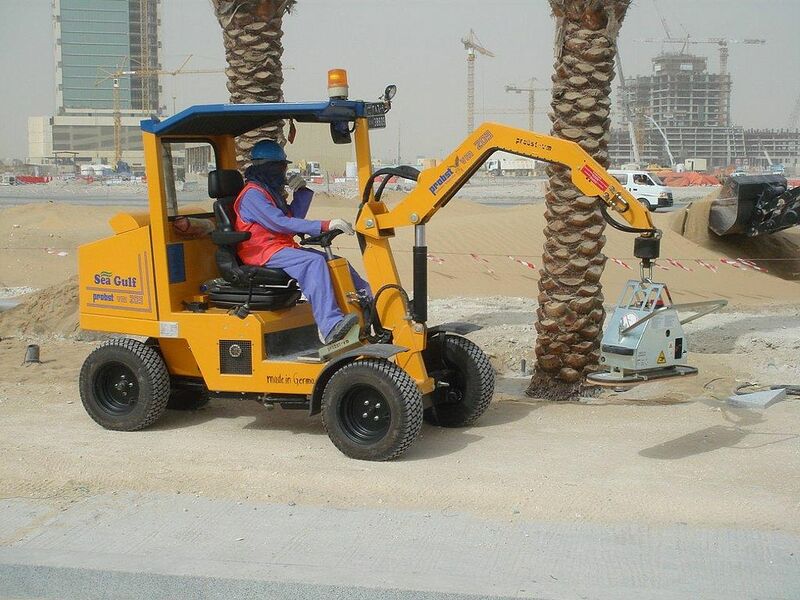 Specially designed and equipped for heavy duty work on the construction site. For special purposes, there are different suction plates available, which can be attached to the SM easily. 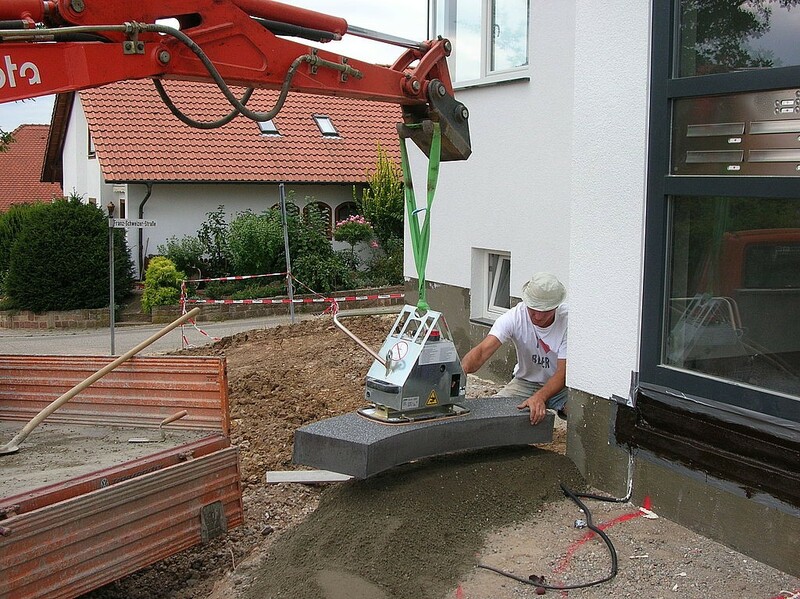 Robust and compact main body, with integrated suspension for crane hook and quick change device for the suction plate. Powered by rechargeable, exchangeable 12 V battery. Power saving control system makes battery lasting for one whole working day. Battery can be exchanged within seconds. Battery charge indicator. Battery charger not included. 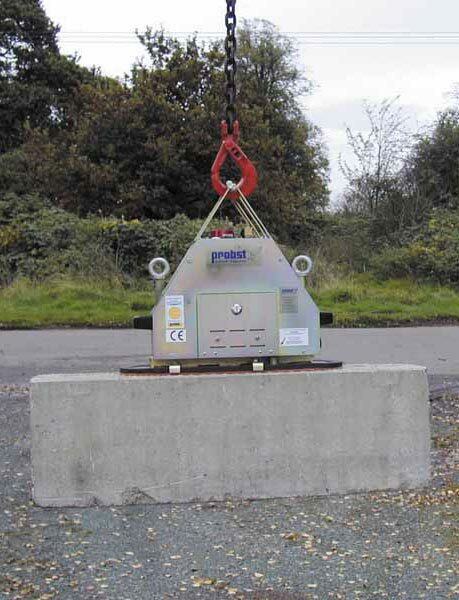 Do you require a Stone Magnet Trolley? Just click the link below.